1) No vintages are listed (except for one they have two different vintages of). This implies to me that they don't care about wine. It also implies you want to drink the youngest wines they have, as, by not specifying vintage you pretty much imply that only the youngest wines should be drunk. But again, there's no way to tell what's a young wine here, is there? 2) Wines are listed by winery, rather than by Color/Type, Appellation, etc., etc. This implies to me that they don't care about wine. 3) Only one wine do they have more than one vintage of; implying to me that none of these wines are good enough to stock in depth. Is that the kind of place I want to order wine at? 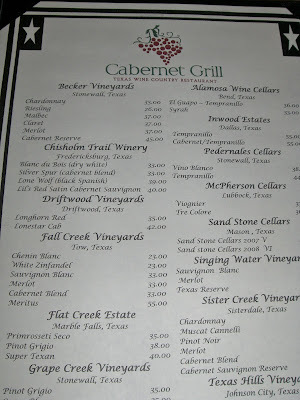 4) How could only the most knowledge Texas wine expert order one of the best wines on the list? Frankly, how is that the restaurants on Vancouver Island, which tend to have 100% BC wines, can each list the vintage for every wine they stock, but a similar restaurant in Texas wine country can not? 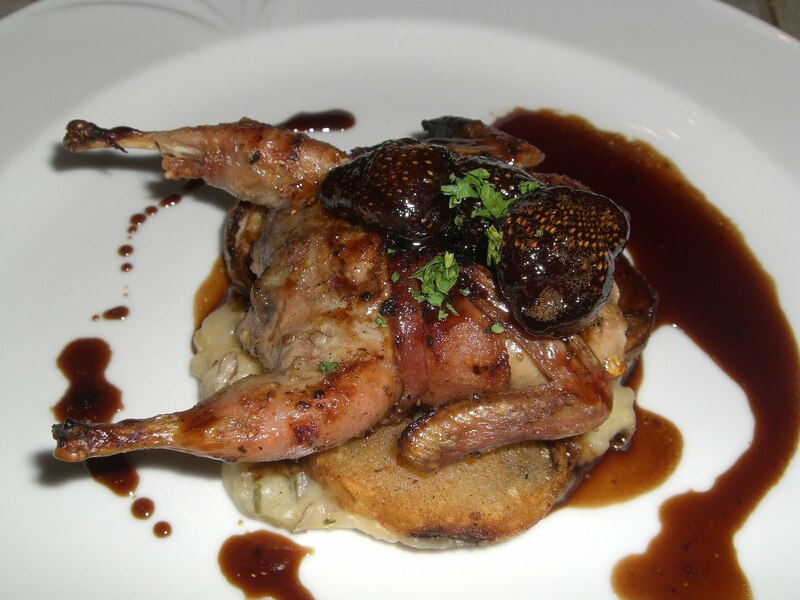 Oh, and it's a good thing that no one ever judges a restaurant by its wine list. (Say, for example, viewing it online...trying to decide whether to go.) No one ever. 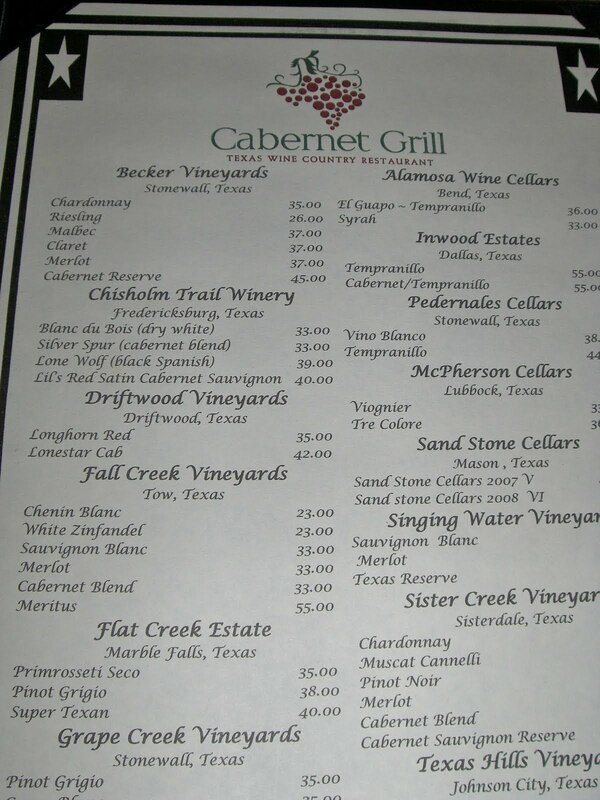 King: OK, buddy, find me a BETTER all-Texas wine list, and I will gladly post it. VT - Ask the server, simple as that. I always ask and inspect vintages. VT - This is Texas wine country, many people are looking for a winery that they visited or know and want to order. VT - Texas is a new wine producing region and sometimes and short on production with wineries selling out and some vintages are just not available for distribution. 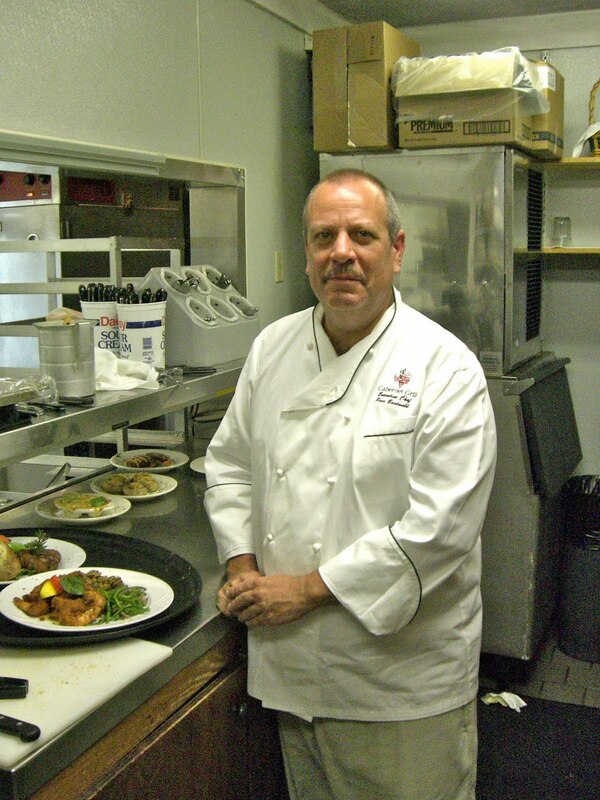 VT - Cabernet Grill works to educate their wait staff. They bring in Texas winemakers and visit wineries to get good intel that they can share with their customers to aid in selection. Chef Ross Burtwell's Cabernet Grill is a class operation and is working hard to go an extra effort to sell Texas wines that he believes are good enough to match with his preparations.